This weekend in Big Bear, you can listen to some Live Music, Take a Sunset Dinner Cruise on the Lake, Play a round of Glow Golf, and much more! 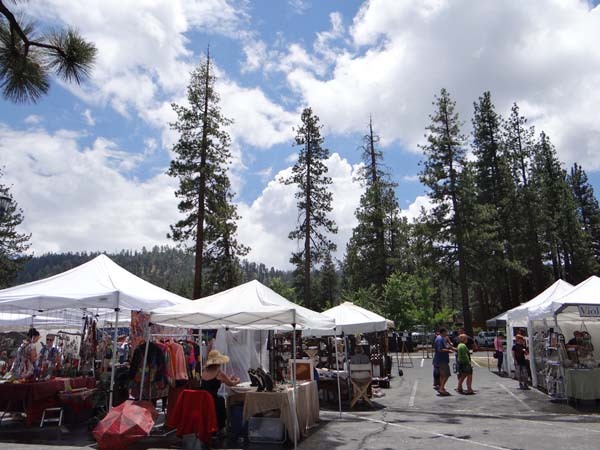 These events, along with activities for the whole family are just a couple of hours away in the San Bernardino Mountains. Summer is winding down, but you still have time to enjoy all that Big Bear has to offer its summertime visitors. Labor Day Weekend is only a week away and if you haven’t found a cabin yet, you are in luck! RS Vacations has cabins of all sizes still available and we are currently offering 50% off your 3rd night for Labor Day on all of our available cabins. Why not make an end of summer trip with family and friends before school schedules and holiday planning begin? Visit RSVacations.net and book your Big Bear Cabin for Labor Day today!! The Annual Big Bear Lake Antique Car Club “Fun Run” revs into town this weekend in beautiful Big Bear Lake. This annual classic car show has been going on since I was a kid and it just gets better every year! Back in the early 80’s, my parents owned an ice cream parlor in the heart of The Village so I spent a lot of time there – especially in the summer months. This was back when we had a full three months off of school for summer break (which by the way I loved as a kid, but was thankful for shorter breaks as a parent! 😉 ) so I was always looking for something to do. I remember spending hours at the Fun Run, looking at all of the cars, listening to the owners rev the engines. All of the bright and shiny colors the cars were painted fascinated me along with all of that chrome! It was something to behold! Many years later, when my son was 5, we took him to his first Big Bear Lake Fun Run. We put on our best representation of ’50’s clothes’ and spent the afternoon ooh-ing and ahh-ing all over again. Of course we each had our favorite hot rod and had many debates on why ours was the best. The car owners were happy to tell ‘the boy’ all about the car, rev the engine and honk the horn for him. All in all, a great afternoon spent making family memories. The weather this weekend looks to be right around 80° so why not head up to Big Bear with your family to cool down and make some ‘Fun Run’ memories of your own? RS Vacations has some fantastic deals going on right now so check us out at www.RSVacations.net. We have a great 3 for 2 Special going right now that will make your Big Bear Getaway even more affordable than ever! Book today! !